Global warming in the recent years has comparatively become a larger threat to the world. And the latest trends of extreme weather activities are a clear testimony to this fact. Though, there are certain sections of the society seriously thinking in this regard and trying their bit in bringing about awareness among people across the world, the vicious destruction of our planet continues. According to meteorological reports, by 2023 global warming could temporarily hit 1.5˚C above pre-industrial levels. It will be the first time to ever happen and the results could be disastrous. There are also 10% chances of us experiencing a year where the average temperature will rise more than 1.5˚C. So far, the hottest year on record was 2016, when Earth heated up to 1.11˚C above pre-industrial levels. Even though the heat has gone down in the past two years, it's unfortunately only a small part of a long-term upward trend. 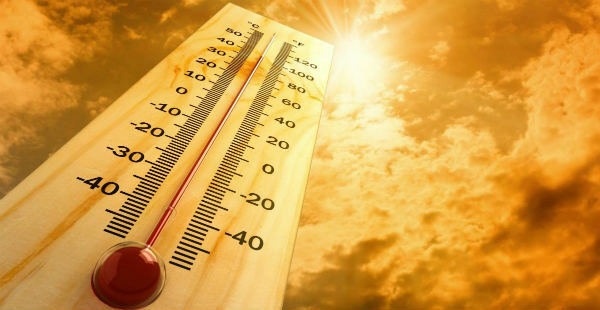 Due to certain natural factors, the heat we experience varies from year to year. However, scientists have estimated that we're warming the planet about 0.2˚C in every 10 years. Researches also state that, this rise in temperature would adversely affect regions prone to extreme weather conditions. This includes regions like South America, parts of Australia, Africa and India's coastal areas. Therefore, till the time we radically scale back our greenhouse gas emissions, the probability of each year creating some kind of a record cannot be ruled out.